Editor's opinion  Dmitriy Sokol Hosting Expert (9 years' experience) Main responsibilities - writing articles and overviews on various web hostings as well as ranking them. Believes that nothing is impossible. His motto is 'the better you do - the cooler will be the result'. The website looks professional and user-friendly. The descriptions have all of the necessary information, however, they’re not overloaded with text. There is a variety of Shared hosting packages: Linux, Windows and WordPress. The prices vary from $2.55/mo to $10/mo. They also offer Pro Linux packages. The disk space is almost the same, however, the resources are more powerful than the regular packages have. In addition, nice discounts (up to 40%) are offered, if you purchase the package for more that one month. Moreover, it is possible to choose the server location for all Shared hosting packages. The available countries are Ukraine, Poland, Netherlands and USA. Reseller hosting plans are rather cheap: from $8 to $25 per month. The latter package includes 100 accounts and 100Gb of disk space. There is a possibility to pick the server location for these packages as well. You get to choose between Ukraine, Poland and Netherlands. VPS hosting is even better. The company provides both Linux and Windows VPS. The pricing is considerably cheaper in comparison to other hosting providers. For instance, the Giant package includes 20Gb RAM, 12 CPU cores and 360Gb SSD disk space for $120/mo. In addition, all of the machines are fairly new and powerful. The tech specs are on the website. The data centers are located in Ukraine and Netherlands, pick whichever you like. Dedicated servers prices and configurations differ depending on the server location (Ukraine, Europe or USA). For example, Ukrainian servers prices vary from $175 to $395 per month. Also, HostPro offers so-called ‘promotional servers’. These packages are affordable and include a bit older but still reliable machines. The company offers 5-day trial for all Shared and Reseller hosting packages and a 7-day trial - for Linux VPS ones. In addition, if the hosting package is cancelled, the unused time will be refunded. Monthly, quarterly, semi-annual, annual, biennial and triennial cycles are available for all Shared and Linux VPS packages. Monthly, quarterly, semi-annual and annual - for Windows VPS and Dedicated servers plans. cPanel is included to all Shared Linux and Reseller hosting packages and Plesk - to all Shared Windows ones. MultiAdmin control panel in addition to cPanel is available for Shared Linux Pro packages. As for VPS and Dedicated servers, it is possible to install cPanel, Plesk or ISPmanager at an extra cost. Also, it is possible to use a free CentOS Web panel for both VPS and Dedicated servers. Though, it is obviously available only for servers that have CentOS installed. Usual CPU core, RAM, disk space and bandwidth limits are applied for VPS and Dedicated servers. Reseller hosting has account number and disk space limitations. Shared hosting plans have unlimited email accounts and bandwidth, though, the number of domain names and the disk space are limited. Also, the email account maximum size 1Gb. In addition, your hosting account cannot exceed 200 000 inodes. Moreover, according to the company’s ToS (Terms of Service), the unlimited bandwidth is actually 100Gb/mo. All of the servers are protected from DDoS attacks. Also, the company provides an antivirus and a malware scanner called Madlet. The latter is available only for Linux OS. Additionally, WordPress sites and plugins are checked for vulnerabilities every day. Reseller hosting packages include Patchman-an anti-hacking and malware scanning security tool. As for backups, they are created automatically every day for all Shared packages. For VPS and Dedicated servers this option is paid, at $10/mo. All other security measures are under your own responsibility. CloudLinux and Windows Server 2008/2012 run on Shared Linux and Windows servers accordingly. CentOS, Ubuntu, Debian and Fedora can be installed on Linux VPS servers for free and CloudLinux at $12/mo. For Windows VPS packages Windows Server 2008 or 2012 are available. As for Dedicated servers, CentOS, Ubuntu and Debian are free and Windows Server 2008/2012 and CloudLinux come at an additional cost. HostPro provides 24/7 ticket, chat and phone support. The representatives are quick, polite, accurate and helpful. The knowledge base is full and covers all possible topics. The Shared hosting packages are slightly more expensive than the others. However, it is possible to choose the server location at no additional cost. Also, the servers are well protected. The Reseller and VPS hosting packages are very advantageous as they are both affordable and of high quality. As for Dedicated servers, the company offers a big variety of them so that anyone can find the perfect one for their needs. Moreover, the support level is superb. So, this hosting can be considered as good, reliable and suitable for both proficient users and beginners. 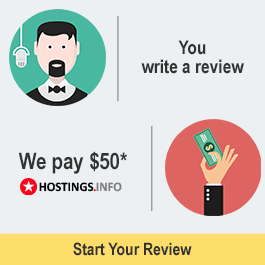 What is written about in reviews of Hostpro.ua most often? Compared to other Ukrainian hosting companies, Hostpro, in general, is the same, may be a little bit better, because I've been working with them for about 3 years on several projects and haven't found anyone better yet. Yes - there are interruptions sometimes, but no more than any other hoster. Huge problems are a rarity, in 2013, for example, there wasn't a single one. In general, over the past year they have become noticeably better than they were, not sure why. 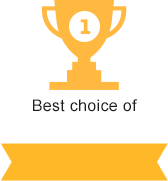 In general, I can recommend them - for the price, it's standard hosting. We have been hosting a site with this hosting company for almost 4 months, up until now there have only been a few interruptions in our work. We are satisfied with the services. I've been using this hosting about 3 years. There are no serious problems with the site, hosting is working fine. There were a few interruptions several times but the problem was quickly resolved. Our site has been on this host for 9 months, and there were some flaws. For example, the hoster mixed up the platform, but because I didn't understand anything, I didn't even notice. Then I had to re-register and move the site. And then everything went better. Works smoothly most of the time, the support service responds quickly, and helps with everything, even if it's not really their problem. Pretty good hosting. The main advantage I see is fast and adequate technical support. The problem with viruses came up on HostPro unexpectedly: Yandex marks the site as dangerous. Yandex support writes that the problem in 80% of the cases came with the sites being hosted on HostPro. I left this provider. It has gone downhill. Every year the speed gets worse, it's gotten to the point that it's impossible to copy the site, hosting has stopped working. I've used Hostpro services for a year. We have 5 sites on this hosting. During the year, we've had very minor disruptions in the hosting operation. I am satisfied with the hoster's work, and I am not going to change it for something else. For $4.95, I hosted a fairly resource-intensive server site. I started with the 5 day free trial period and realized that I wasn't expecting such high quality of services: the download speed of the page is staggering (SSD + CDN do the trick), the PHP version that gives you choice of loading their modules increases the security of the site. Hostpro provided great opportunities for a little amount of money. Hosting does its job - no problems with uploading files of different weight to ftp, a convenient control panel, stable operations, servers located in Ukraine, and the USA and Germany. The domain name can be obtained for free or purchased starting at 99 UAH. For beginners in general, it's a paradise at their fingertips - there is a site builder, which can help create a site in three easy steps.